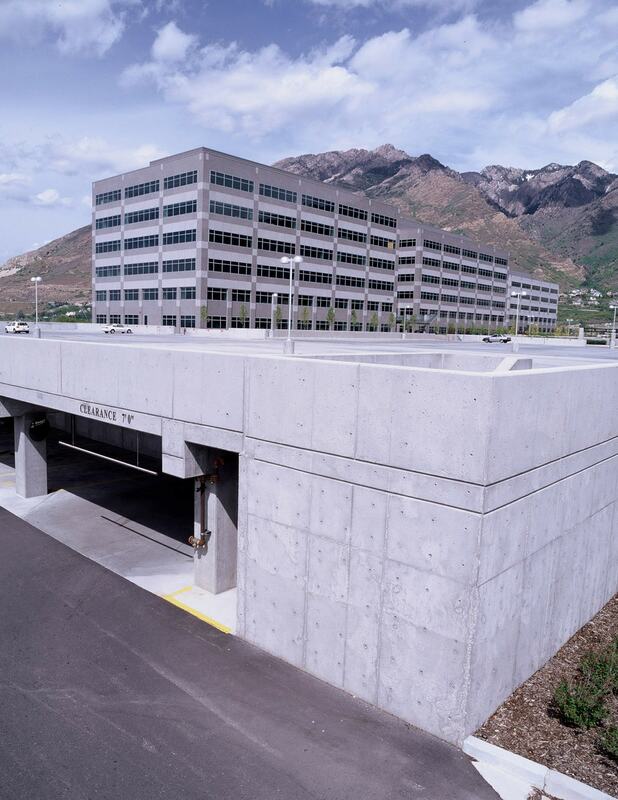 Cottonwood Partners engaged Big-D for the construction of Buildings 8, 9 and 10 at the Cottonwood Corporate Center, a prestigious, master-planned development situated at the mouth of Big Cottonwood Canyon in Salt Lake City, Utah. 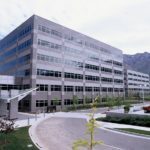 Encompassing 45 acres of what was once an unsightly gravel pit, the Center is now home to one of the finest Class A office parks in Utah. The “sawtooth” building plan takes advantage of impressive mountain views to the southeast and the sweeping valley to the northwest, tripling the opportunity for prestigious corner offices and conference rooms, and offers dramatic views of the adjacent municipal “Old Mill” golf course. 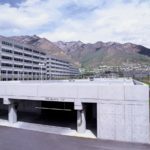 The bordering I-215 freeway provides easy access to restaurants, hotels and ski areas. Twin buildings 8 and 9 are united by a dramatic entrance that includes two-story center atrium, an arching canopy of granite and glass and deliberate stepped lobby with granite interiors and custom artwork. 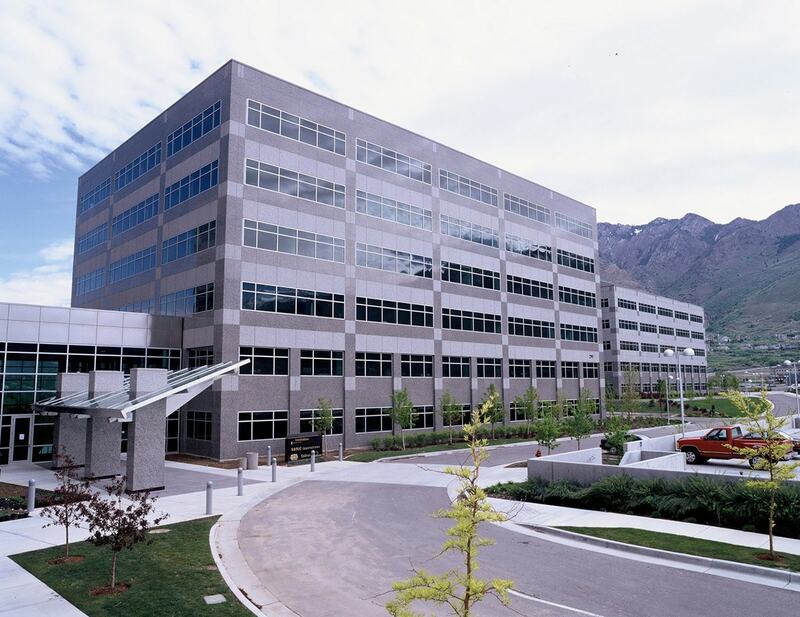 Each building stands five-stories and equally consists of 104,974 square feet of quality lease space. 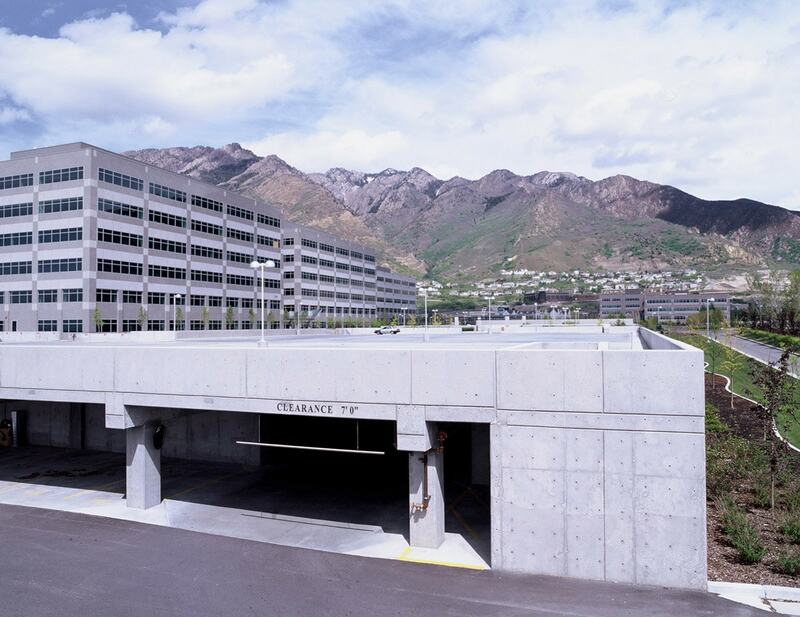 Included with the buildings was the construction of a 1,040 stall 2 level parking garage. 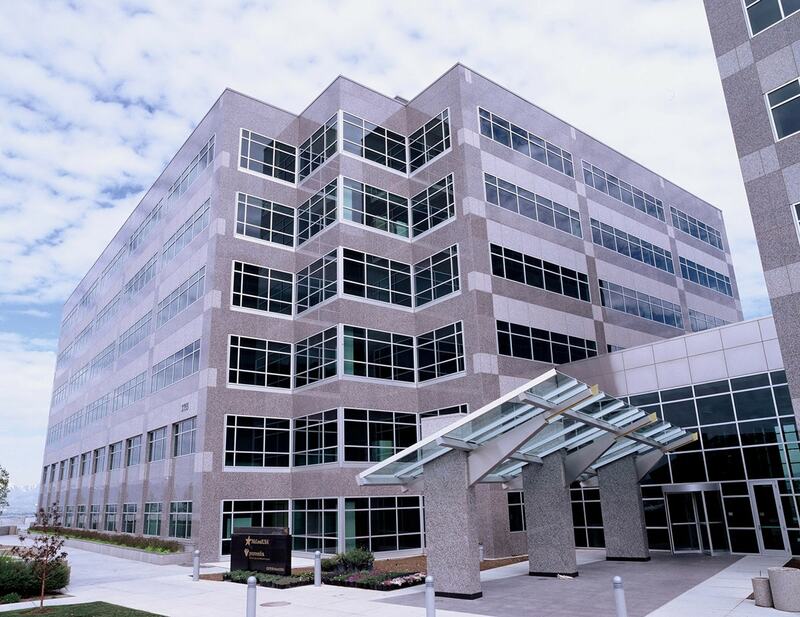 Building 10 stands six-stories and consists of 129,395 square feet of quality lease space and shares a two-story center atrium with its twin building. 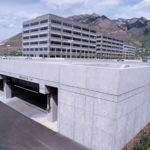 Big-D also completed an innovative two level two-way post-tension parking garage with the first level primarily below grade which accommodates 370 parking stalls. Constructed of composite steel, the exterior facades are buff-colored granite and feature green high-performance glass, which evoke the natural rock and vegetation further up the canyon. 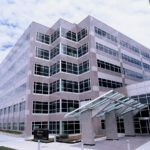 All buildings contain the finest materials including stone flooring, stainless steel columns and feature visually appealing “flowing waterways” on black granite which create a dramatic entry visible from many areas of the corporate center.